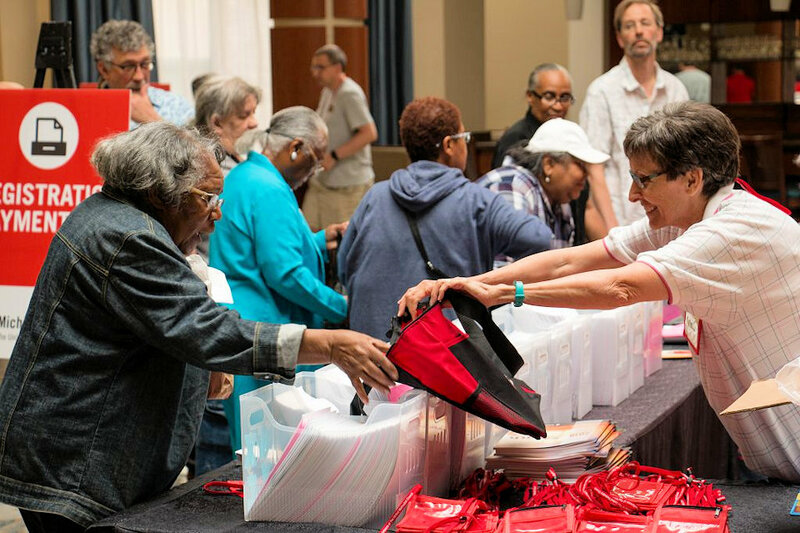 Members of the Michigan Annual Conference 2019 will gather at the Grand Traverse Resort May 30 – June 2 for a time of worship, learning, decision-making, and fellowship. February 15 is the deadline for submitting legislation. Click for how-to. February 15 is also the deadline for nominating persons as possible delegates to the 2020 General and Jurisdictional conferences. Click for how to. Registration and room reservation begin March 1. There are no cost increases over 2018. A basic schedule can be accessed here. “Bold and Effective Leaders” is the theme for 2019.